Despite the technical rigors of qualifying for a loan today, there is something more ominous lurking in all mortgage applications that most consumers wouldn't think twice about. Specifically, we're talking about the eligible funds for the mortgage transaction. You might have the money in the bank, but it isn't that simple. A lender will still want to know who the funds belong to, and how the money got there. And if you can't document these things, your mortgage could get delayed -- or denied. Bank statements show the funds in your account, but whether these funds are legitimate is another question entirely. And cash deposits that are inconsistent with your banking history will be under the lender's magnifying glass. In fact, cash deposits cause more problems and scrutiny for consumers trying to secure mortgages today than any other credit item. So let's take a look at the typical scenarios homebuyers need to be ready for when documenting their cash in the bank. Then monies will have to be sourced with a clear letter of explanation, or a potential gift letter if the money came in the form of a gift, along with a statement from the person gifting that money showing they had the ability to do so. Then these funds can be used in the loan transaction, although the consumer may be asked to explain where the funds originated. However, no paper trailing will be required. 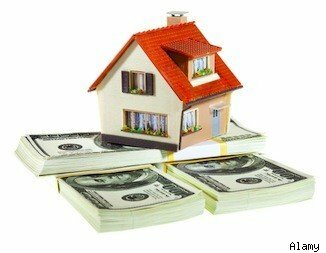 Then -- if it is needed for the mortgage transaction -- that money will have to be "seasoned" for a period of 60 days, meaning those funds are ineligible for use toward the mortgage until two statement cycles have passed. Then those funds will be eligible. Then the person giving the gift needs to show on paper a clear ability for them to gift money to the recipient. In other words, a friend of the person giving the gift can't make a deposit in the giftor's account without getting a clear and concise explanation, including a gift letter and subsequent paper trail with bank statements showing where the funds originated and where the funds ended up. Then consumer must meet the 60-day seasoning requirement, unless the funds are from paychecks in the normal course of pay periods. Should any one of these situations occur, plan on a longer escrow followed by a longer interest rate lock. The longer a transaction takes, the higher the cost. Circumstances like gathering together financial documentation at the last minute, sourcing monies and/or getting contractual purchase contract extensions, which often run as high as $100 per day for every day the transaction does not close on time, are all examples of how important timing is in procuring loan approval. It is in the consumer's best interest to handle the paper trailing concerns and credit characteristics with the lender upfront, so it doesn't become an issue later on when loan contingencies need to be removed or when the refinance slated to close is delayed because an updated statement shows deposits inconsistent with the consumer's income.